The Office of Tourism of the Formentera Council reports that today, Monday, definitive approval has come for the text that will give authority in tourism promotions to the individual island councils of Formentera, Menorca and Mallorca. The overhaul will simultaneously mean a better funding deal for Eivissa, which has overseen its own marketing since 2015. Held against the Partido Popular's proposed 2015 funding package, the current deal means more money for the services and functions marked for transfer. It also means Formentera will receive, in addition to 11.07% of the total package, important authority on statistics, market studies and production creation. That the changes officially took effect in early 2018 means numerous commitments between the Agència de Turisme Balear and the Formentera Council remain pending still. The upshot is that 2018 will be all but typical. The head of tourism described it as “a good deal”for two key reasons: not only will Formentera's funding allocation grow by roughly one million euros, above all, she said, “it provides for new personnel and the transfer of functions and services that are crucial to the task of tourism promotions”. Once approval for the agreement is secured in joint committee, definitive go-ahead will still require the deal's passage in plenary assemblies of the island councils, another joint-committee gathering and, finally, the rubber stamp of a governing board called the Consell de Govern. The power transfer will mean Formentera's promotional strategies are increasingly personalised and better reflect local interests and the island's particular characteristics. It will free up space for important projects (construction of a visitors' observatory, for example) to receive attention. 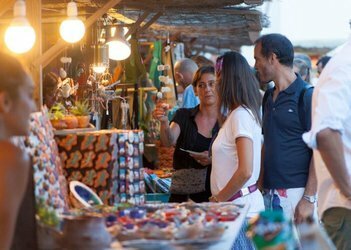 Formentera's Office of Tourism reports that from Sunday to Tuesday (February 11-13) representatives of the island will be out in force for Milan's International Tourism Exchange, or BIT, in hopes of reaching out to Italian travellers. In 2018 Formentera will be the only representative of the Balearic region at the travel industry fair, one of the transalpine nation's largest. This year, Formentera possesses a stand of its own measuring 33 square metres and equipped with a big-screen LED and two backlit panels showcasing local spots like es Caló des Mort and el Far des Cap de Barbaria. The first, a cove whose name roughly translates as “Dead Man's Cove” in English, and the lighthouse which stands guard over Formentera's southern cape (“es Cap”), are not only well-recognised among Italian tourists familiar with the island, they also fit snugly with the declaration of 2018 as a world year of cultural tourism. The fair will play out Fiera Milano City, an exhibition space located in the heart of the northern Italian capital. The Fiera's location makes it easy to reach for firms and garden variety globetrotters alike who are on the prowl for holiday destinations. 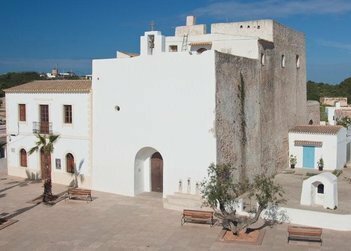 Fairgoers who stop at Formentera's space at the expo, besides finding the latest iteration of the local catalogue of heritage sites, will also be able to discover and explore some of the island's most emblematic sights. Today, the Formentera Council's Office of Tourism reports that with the focus of the International Tourism Trade Fair, or FITUR, trained on the Balearic Islands, Formentera took Thursday to shine a spotlight on the island's culture with its newly updated catalogue of heritage sites. The move is all the more fitting given the United Nations have designated 2018 as a year for cultural tourism. The presentation touched on two distinct tiers of heritage. One was cultural, and presenters referred to the enduring mark left by the numerous civilisations settling on Formentera throughout history. The other locus was the island's natural heritage. Here, Formentera's representatives spoke about the landscapes and nature that set us apart from other tourist destinations, and held up such initiatives as the Save Posidonia Project. Attendees of the expo had the opportunity to see and visit some of the island's most iconic sights. Using special eyeglasses and thanks to an array of 360º-filmed virtual reality videos, visitors took in landmarks like lighthouses and watchtowers. A campaign built around selfies also figured in the plan, with winners of a raffle enjoying stays on the island and the promise of local beaches, culture, hikes and gastronomy. Of course, those are just some of the standout features that make Formentera a one of kind island in the Mediterranean. 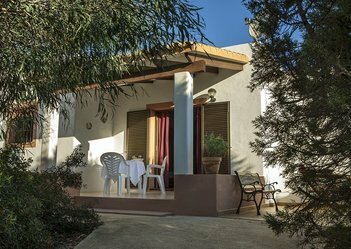 Formentera's Offices of Land and Tourism announce that, in line with articles 19.n and 23.7 of a law passed July 19 and known as “8/2012”, homeowners and brokers alike are required to provide property-rental platforms the registry number that identifies their, or their customer's, rented holiday home. In the event that number is not available, they must supply the number given at the moment of declaring intent to rent, a procedure which involves a document called DRIAT, or Due Declaration of Commencement of Tourist Activity. Failure to comply constitutes a violation that can entail fins of up to €4,000 for property-owners and home-rental platforms. 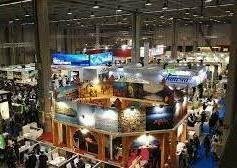 The Formentera Council's Office of Tourism reports that Formentera will join the islands of Mallorca and Menorca in a shared promotional stand at FITUR, an international tourism trade fair. 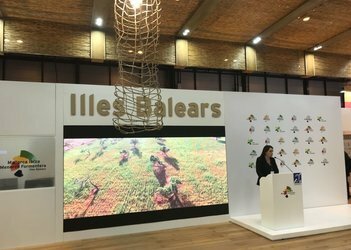 The islands' space at the expo, which will play out this Wednesday to Sunday, January 21, is coordinated by the Agència Balear de Turisme. As in years past, Formentera will leverage the important travel industry event to take its catalogue of cultural heritage and natural spaces to an increasingly broad audience. One thing visitors are sure to see again at this year's expo is technology being harnessed —think VR goggles— to showcase some of the island's most treasured natural spaces and landscapes. Sporting and cultural events, features of the Formentera calendar which generate ever growing interest, will also be the object of a special promotional campaign tuned to drawing visitors before and after the traditional high season. This year, as part of the UN's declaration of 2018 as Year of Cultural Heritage, Formentera's representatives at the expo will present a related brochure, the island's latest, before members of the national press. The presentation is scheduled for Thursday at 10.30am.